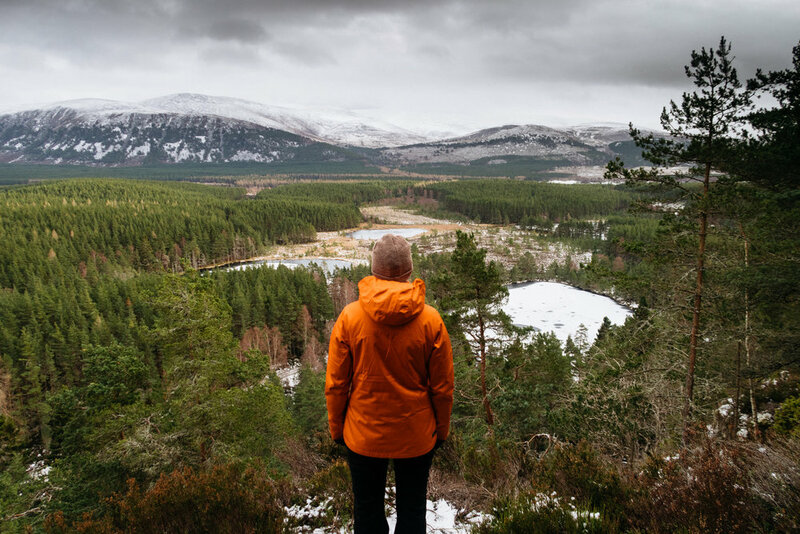 A couple of weeks ago, my younger sister, Amira, and myself headed up to the Cairngorms National Park in Scotland for a week of adventuring. I was doing a Winter Skills course with the Jonathan Conville Trust (blogpost to come!) over the weekend, and the rest of the time we had planed to walk up hills, ride bikes in forests, and enjoy living at one with the Scottish mountains for a week. Scroll right down to the bottom for the video! We hadn’t expected so much snow… Our eyes lit up with the sight of it as we entered the National Park at dusk one evening. 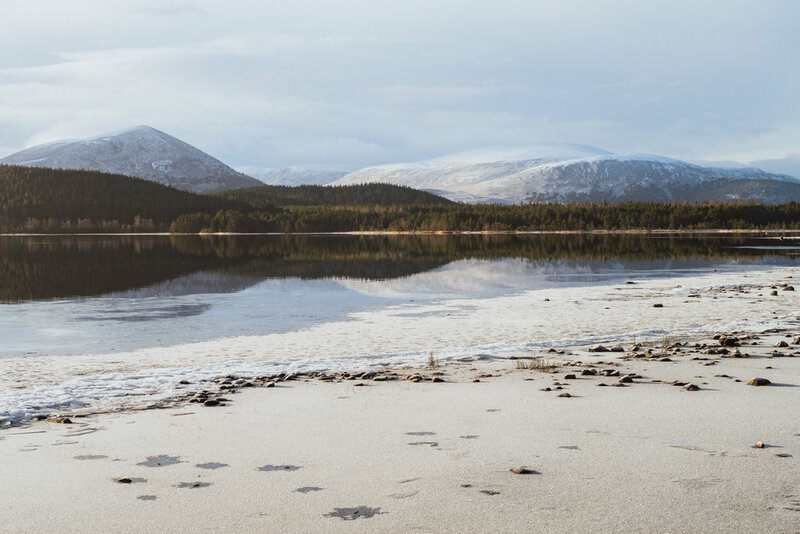 The next morning, we wandered to the shores of Loch Morlich lying sleepily beneath a dusty pink haze - the mountain peaks beyond covered in a delightful blanket of fluffy white stuff. That day, we watched the caps of the mountains glow with the first streams of light as we walked to the Ryvoan Bothy and then up our first Scottish Corbett, Meall a’ Bhuachaille, at 810m. 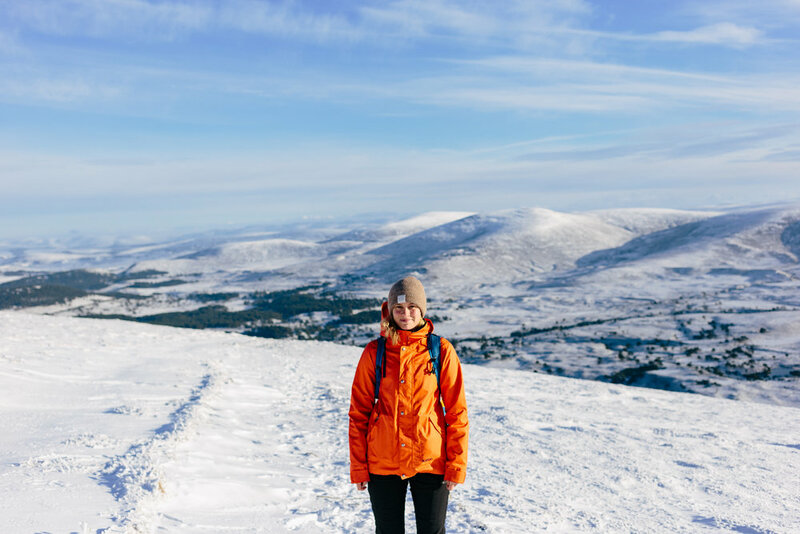 The summit greeted us with the most glorious views down to Loch Morlich below and the surrounding mountains of the Cairngorms; the sun glistening on the ground and on our faces all day. 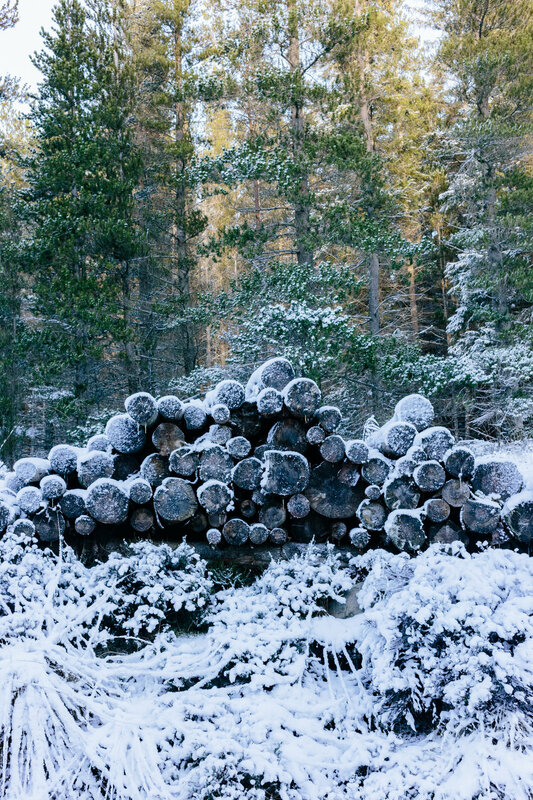 After my Winter Skills Course over the weekend, we took a day of rest with a visit to the Mountain Cafe in Aviemore and a wander around the forest at Uath Lochans. The following day, I hired a Surly fat-bike and Amira took me on a 30-mile mountain bike circuit through forest tracks, over hills, and along country lanes. 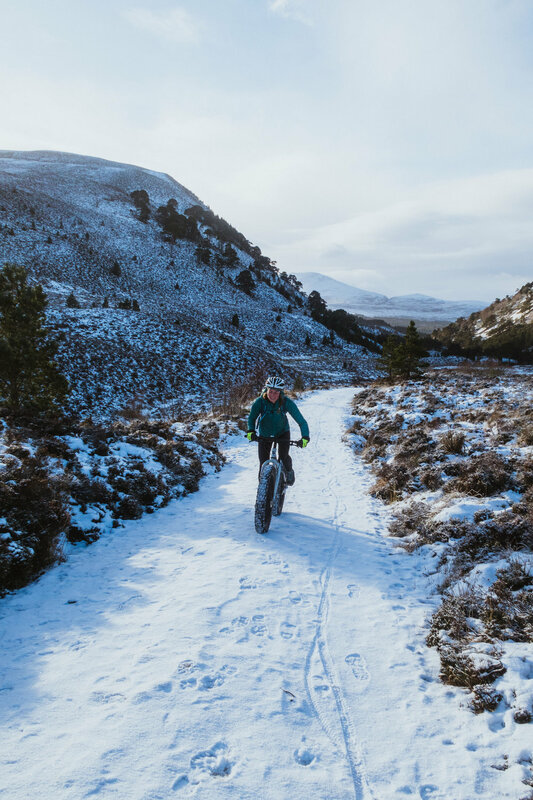 Riding a fat-bike was an absolute joy as I could easily tackle snowy and rocky sections that I usually wouldn’t have the skills to ride. Though my feet were numb for most of the day, getting back out cycling was amazing and made me appreciate just how hard the sport is! We devoured hot chocolates and cake at the Mountain Cafe upon our return. On our final day in the Cairngorms, we had a big hill in mind — Ben Macdui. 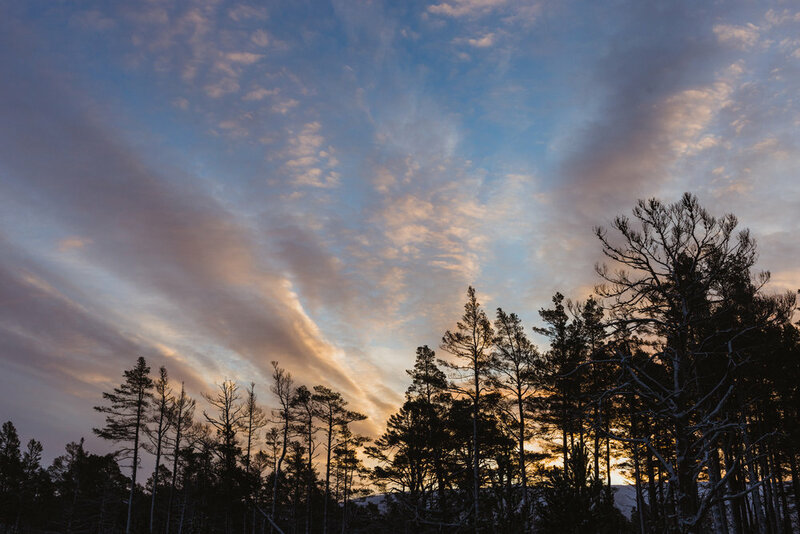 At 1,309m, it is the highest point in the Cairngorms and the second highest peak in the UK, after Ben Nevis. Amira hired some crampons and an ice axe and I had been assessing the conditions for a couple of days before, as the forecast flittered between saying the summit would be shrouded in cloud or clear. In the end, we were blessed with a clear, still and calm day and hardly another soul in sight. We set off from the ski centre carpark at around 8.15am and reached the summit by 11.30am. Views were vast and bright, mountains beyond mountains as far as the eyes could see. 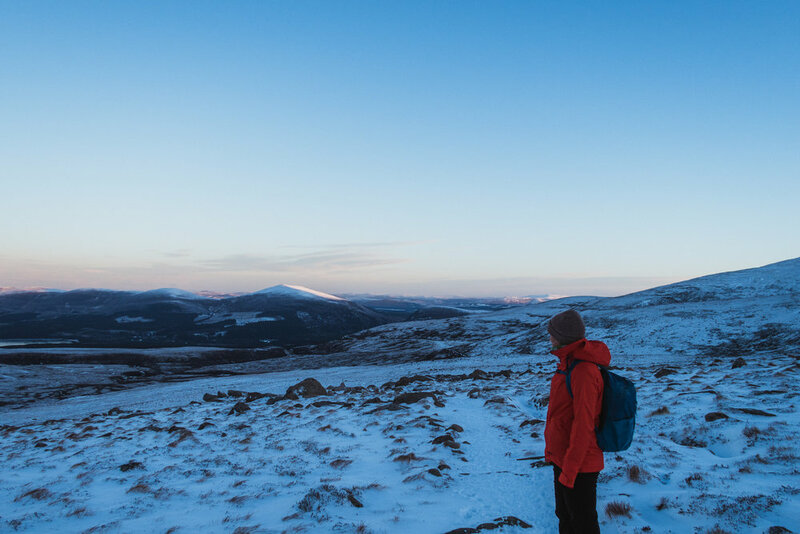 A week in the Cairngorms was exactly what we both needed to beat those January blues. When you’re in the mountains, you’re not worrying about money or life decisions, all you’re thinking about is navigating to the summit, when your next snack will be, if the clouds will roll in... I love that feeling of being connected to nature when summiting a peak - of having to be aware of everything around you and respecting the landscape you’re walking on; realising it has much more power than you can control. I can’t wait for many more winter ascents of mountains in the future. Look out for an upcoming blogpost about the Jonathan Conville Winter Skills course!